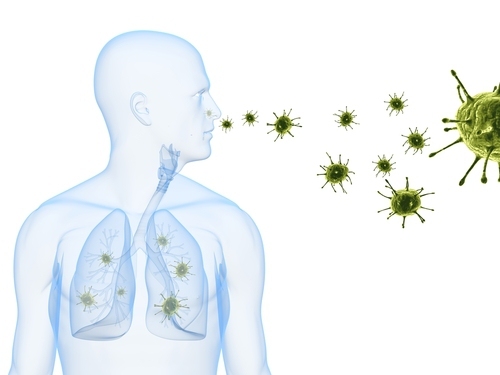 Who Should Pay Special Attention to Contagious Pneumonia? Pneumonia is a lung infection that can cause inflammation and make you very sick. This inflammatory condition is usually caused by a bacterial or viral infection, but breathing in certain chemical fumes may cause this condition as well. The problem is quite common and actually with over 3 million cases of pneumonia have been being reported each year in the U.S. alone. It proves lethal in many cases and claims 60,000 lives every year. It is worth mentioning that about one-third of cases involve people over age 65. However, statistics also show that 4 out of every 100 children in the U.S. develop this condition every year. Many people want to know more about this condition, and the first thing they usually ask is, "Is pneumonia contagious?" Let's find out exactly how contagious pneumonia is. It is hard to give a clear answer to this question. It is usually unlikely to develop pneumonia just by getting in touch with someone who is infected. It is not impossible though. The reason is that people who have developed this infection may transmit some germs to other people. The germs may not cause pneumonia, but you will definitely get sick and may have to deal with a milder infection like common cold. Bacterial and fungal pneumonias are usually less contagious as compared to viral pneumonia because viruses can transfer from one person to another more easily. Similarly, if someone has developed pneumonia due to bacteria-like organisms (walking pneumonia), the chances are you will get sick by being exposed to that person. The germs in this case spread more like a common cold. Thankfully, it usually doesn't require any hospital treatment. So here is another important question you may ask, "Is pneumonia contagious throughout its lifespan?" No, it is not. The condition usually lasts about a couple of weeks, and the person is more likely to spread the germs at their worst condition, usually within the first 2-4 days of the infection. Pneumonia usually affects some people more easily than it affects the others, for instance, people with weakened immune systems. It is important to pay attention to contagious pneumonia if you fall into this category as we list here.  You've just removed your spleen.  You've just received an organ transplant.  You're taking immunosuppressant drugs.  You're impaired to clear the lungs. You're over 65 years of age. You're very young with immature immune systems. You live in areas with increased air pollution. You work on farms and deal with agricultural chemicals. You work in construction industry and spend more time in industrial settings. You work with or near animals. You smoke a lot or are addicted to alcohol. If you fall in any of these categories, it is important to get in touch with your healthcare provider and learn how you can reduce the risk for developing this lung inflammation. Server responsed at: 04/23/2019 6:32 a.m.